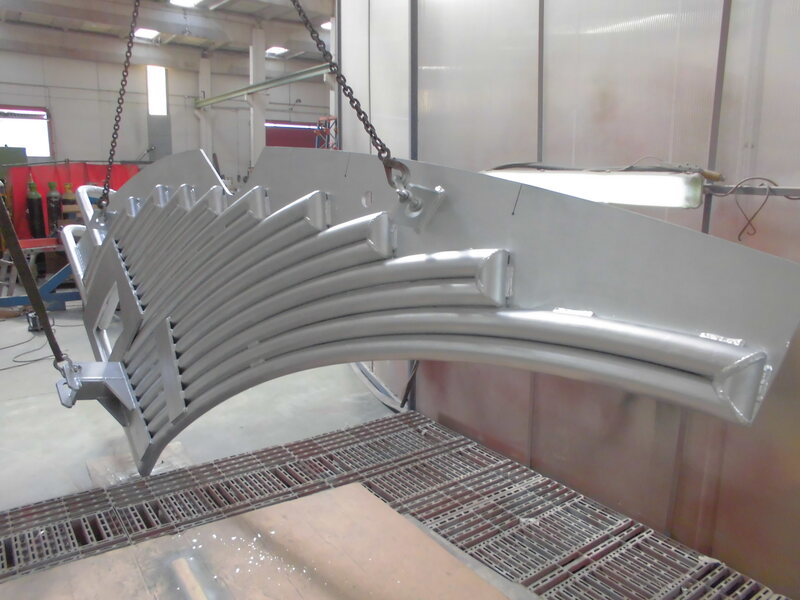 Specialized in Electric Arc Furnaces, supplying low voltage secondary circuits, control and regulation systems and electrical engineering for medium and low voltage. 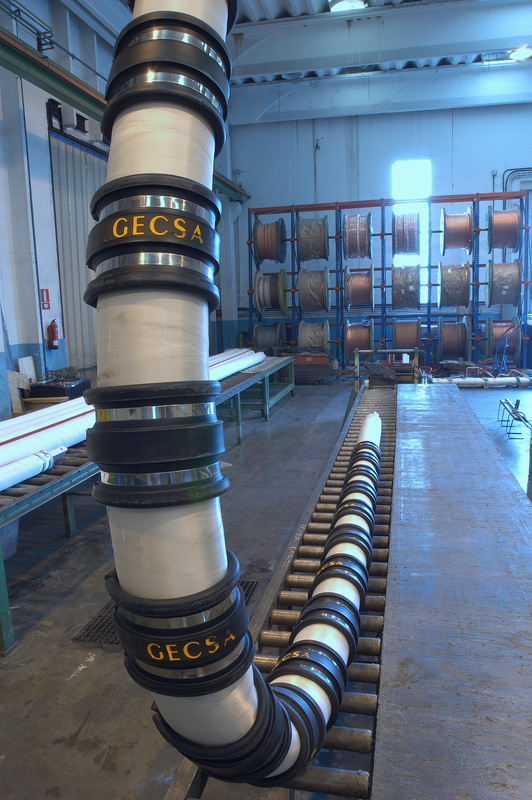 GECSA, as a member of the GHI Group, a recognized manufacturer of melting and heat treatment furnaces, has more than 30 years of experience in the steel sector. 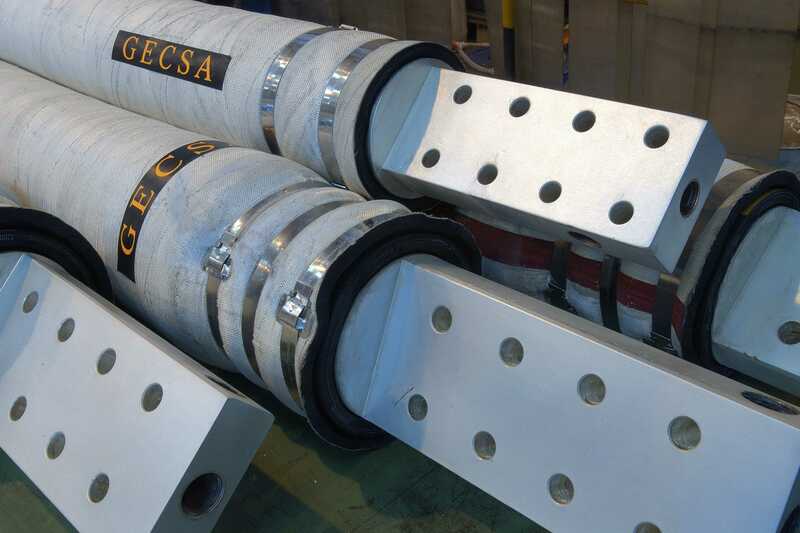 Within these years, GECSA has developed a multitude of projects for the steel sector, mainly for the electric arc furnace, which handles the process of casting scrap by means of an electric arc generated by graphite electrodes. Within the range of products supplied, the complete secondary low voltage circuit stands out, which is responsible for transmitting the current from the power transformer to the same electrodes. As automation engineering, we provide service with the main software brands of the market to any of the controllable parts of the furnace, having its own regulation of electrodes. In the area of ​​medium voltage, we are distributors of major European brands in electric elements and electrical equipment (vacuum interrupters, disconnectors …) and carry out turnkey projects for the installation of transformers. 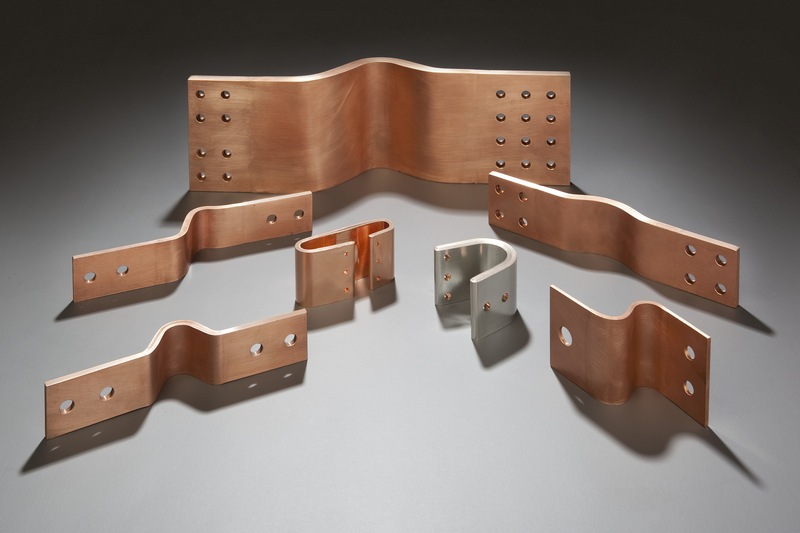 Connections made of copper or aluminum, in sheet or braid. High flexibility connections for connection with the transformer or groundings. 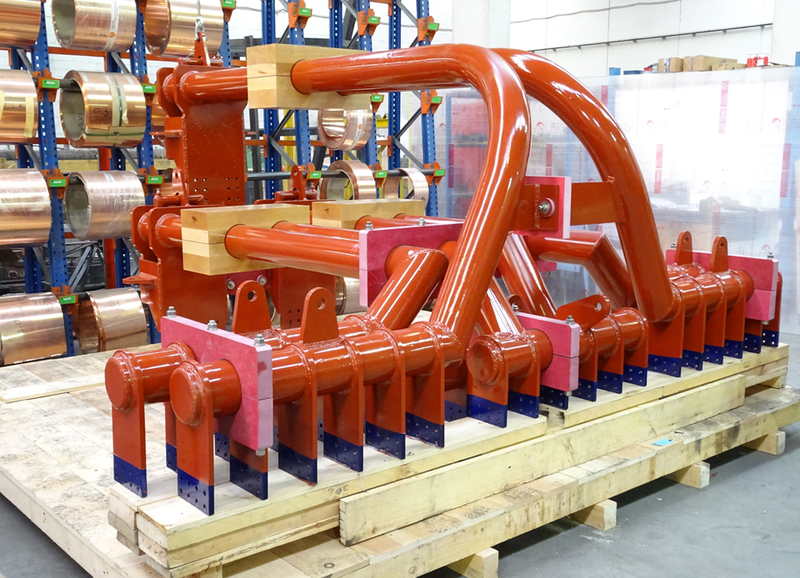 The current conducting arms are manufactured like a copper conducting body where current is conducted to the contact shoes by the own arm body manufactured in bimetallic material with high electrical conductivity characteristics. 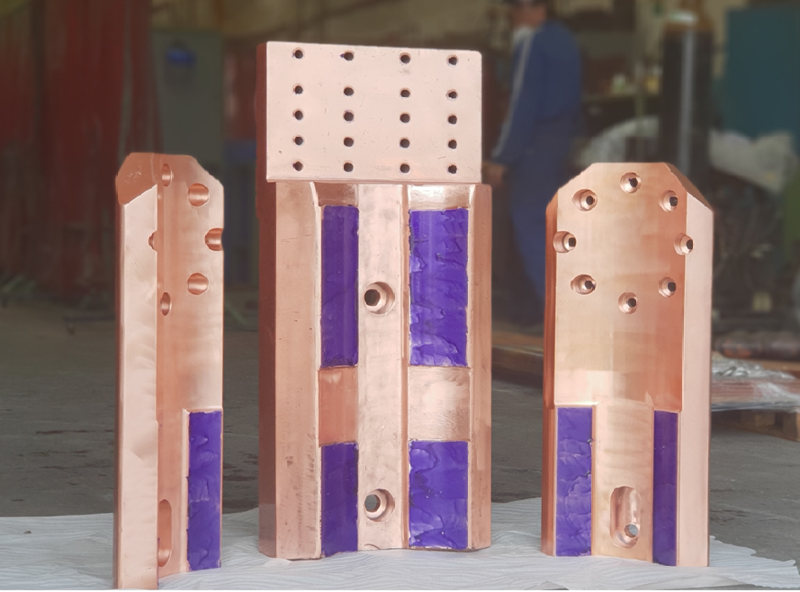 Contact clamps for current arms made of laminated or forged electrolytic copper, ensuring the highest electrical conductivity and the ideal mechanical conditions for high resistant contact with the electrode. 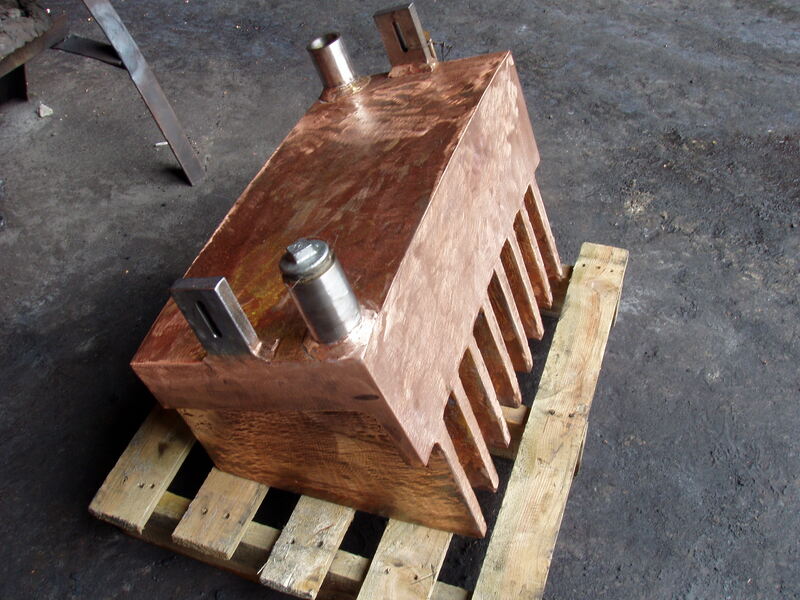 Gecsa offers service of reparation of maintenance by TIG copper welding. Koyet boxes and carbon and oxygen injection equipment, manufactured by casting with the latest technologies for high reliability and functionality of the piece. 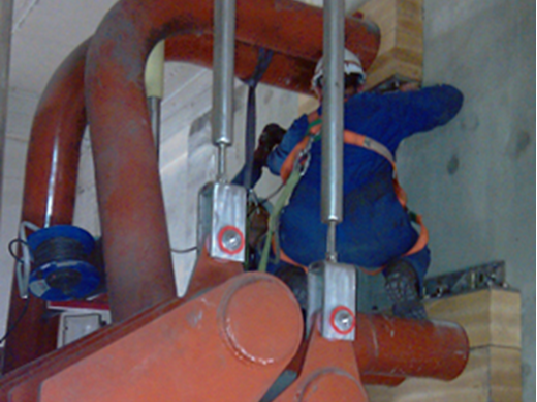 Gecsa offers service of reparation of maintenance by TIG copper welding. Specialized works on plant. Assembly of elements manufactured by Gecsa or electrical equipment as transformers. 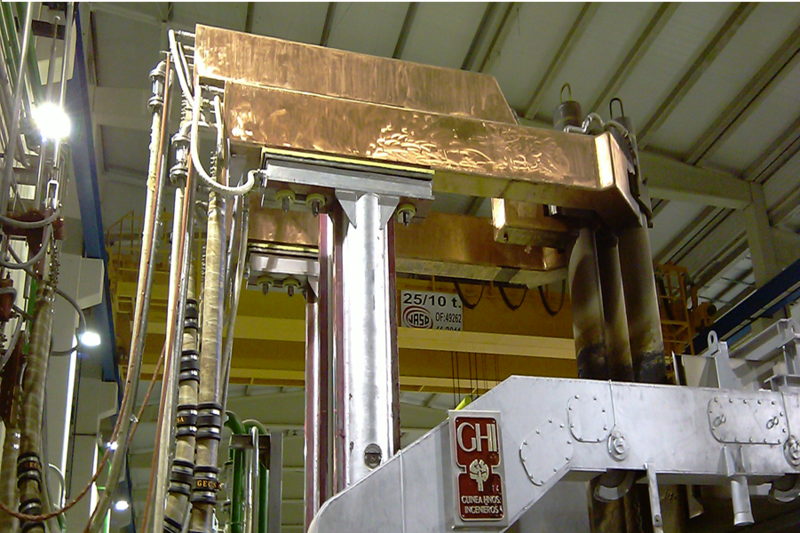 Furnaces and heaters of variable frequency up to 4 MVA. Energy saving and process optimization.